Businesses will require an additional injection of capital, big or small, several times throughout their cycle. 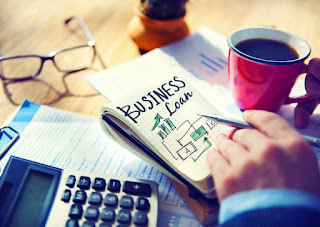 Business loans are one of the options companies can look into to get additional funding which can be used various purposes: for purchasing additional IT equipment andmachinery, cover operating expenses, grow or expand your venture, etc. This is the number one loan application mistake you can make from which all others can stem from. Having a messy bookkeeping and accounting system will make it difficult for you to understand where you are losing money and where you can best appropriate or use the loan for. It is therefore important that you keep good financial records or at the very least, know the basics of bookkeeping. When you regularly review your financial records, you will be able to make accurate financial forecasts and create a suitable long-term financial plan for your business which will help you to borrow more wisely. Your business credit score is one of the biggest factors banks and lenders will consider in reviewing your loan application. They will base the amount they will offer, related fees, interest rates, repayment terms, and even the actual approval of the loan on your business credit score. Before applying for a loan, get a copy of your credit report from several credit bureaus. Also, make sure that your credit scores are up-to- date and accurate. When applying for a business loan, you can’t just submit your financial statements and other documents to assure the lender that you have a regular source of income. Keep in mind that if you are applying for a loan, you have to demonstrate how your business will continue to operate and make money. With a good business plan, you will show the lender your goals, how you intend to reach them, supporting data, and your past and current financials. This key document will help convince the lender they should invest in your business. All lenders will want to know where and how you will use the loan they will grant you. As such, you need to know the specific reasons why you need a loan and explain this thoroughly to the lender. The best business bank or lending institution will need to know how a loan will benefit your business. There are different types of business loans and when applying for one, you should always match the type of loan to its purpose. For instance, if you have to finance commercial real estate, don’t take out a business loan with a 12-month term. Also, avoid applying for a long-term loan to pay for some short-term expenses such as meeting payroll or purchasing additional supplies to satisfy your customer’s request. If you’re still in the initial stages of applying for a loan, look for a lender that offers the particular type of financing you need. There are now more establishments offering business loans: banks, credit unions, crowdfunding websites, etc. Take some time to evaluate all of your options. You can even send your applications to several lenders and when you receive an approval, carefully compare the offers to make sure you’re getting the best possible terms. The lender you ultimately choose should be the one that offers the best deal suitable to your needs and payment capability. Lastly, before signing the contract or agreement, go over all of the loan fine print and carefully read every term and condition. Make sure you know the specific interest rate and if this is fixed or variable. If it varies, be sure you know when it will change. Get all details about payment schedules, grace periods, late payment fees, and prepayment penalties, if you decide to pay off the loan early. In case you have any questions about any of these, discuss them with the lender before signing the agreement. A business loan can be the best solution you can get if your company is struggling or needs a substantial amount of money quickly. However, to get prompt approval and to make sure taking out a loan won’t cause more financial issues for your business, study the different types of loans offered by various institutions. Make sure you prepare for the whole application process properly as well.